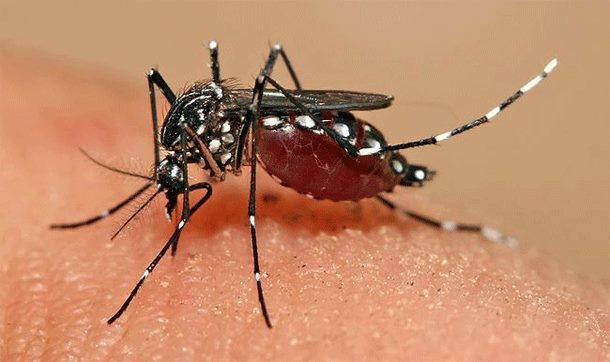 The dengue outbreak in Daru, Western Province has reportedly surpassed 250 cases, since it first began in October 2015, a health expert has revealed. World Health Organization, WHO Epidemiologist, who is on the ground with staff from the Health Department, confirmed this with PNG TV Live via telephone today. “There were a few cases reported in October, but it really started to infect many in November,” Dr. Pavlin said. Numerous scientific and medical advances have made progress in the treatment of symptoms that stem from mosquito-borne viral diseases. But to this date, there is no practical or effective vaccine that has been introduced into clinical practice. And that applies to chikungunya, malaria, zika and dengue. Dr. Pavlin says it is important for people to seek professional medical assistance to determine the exact cause of mild illnesses, fever or related symptoms that may be mosquito-borne. “There will certainly be more than 250, especially here in PNG where many people get a fever and think it’s malaria – sometimes they just go and buy medicine without seeking proper medical advice, which never is a good idea because you could have something very different, thus the medicine consumed may potentially hurt you,” Dr. Pavlin explained. On ground efforts in Daru have been centered on appropriate treatment measures to quell the dengue outbreak from reaching ‘sever dengue’ status. “Dengue doesn’t have a specific medicine, but necessary fluids given to the body can prove life-saving for patients who develop severe symptoms, so it’s imperative that staff identify patients with severe dengue symptoms and treat them appropriately,” said Dr. Pavlin. There is no confirmation of this being the largest dengue outbreak in Papua New Guinea, but Dr. Pavlin says it’s difficult to confirm. “We also know from checking people’s antibodies to see what type of diseases they’ve had from the past, many people have actually had dengue but they simply didn’t know it at the time." "So in reality it’s very difficult to say whether this is the largest outbreak we’ve had, but it’s certainly a large outbreak that needs to be taken seriously,” Dr. Pavlin said. As of 2010, dengue fever is believed to infect 50 to 100 million people worldwide a year with 1 to 2 million life-threatening infections. It has dramatically increased in frequency between 1960 and 2010 by 30 fold. This increase is believed to be due to a combination of urbanization, population growth, increased international travel, and global warming.